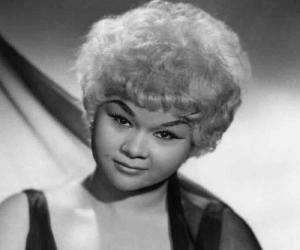 Etta James was an American singer-songwriter. This biography provides detailed information about her childhood, life, career, achievements and timeline. place of death: Riverside, California, U.S.
Etta James was born Jamesetta Hawkins in Los Angeles and had a very tumultuous childhood as she was brought up by foster parents who ill-treated her. By the age of 5, she was known as a gospel prodigy, gaining fame by singing in her church choir and on the radio. At 12, she moved north to San Francisco, formed a trio and was soon working for band leader Johnny Otis. Four years later, she recorded, Roll with Me Henry, with the Otis band. After signing with Chicago's Chess Records her career began to soar. She continued to work with Chess throughout the 1960s and early '70s. Sadly, heroin addiction affected both her personal and professional life. With suggestive stage antics and a sassy attitude, she continued to perform and record well into the 1990s. She possessed the vocal range of a contralto and was initially marketed as R&B and doo-wop singer but broke through as a traditional pop-styled singer, covering jazz and pop music standards. Always soulful, her extraordinary voice was showcased to great effect in singles such as, At Last, Dance With Me Henry and I’d Rather go Blind. 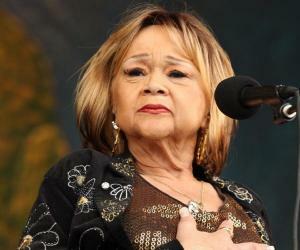 As she entered her 70s, Etta James began struggling with health issues and eventually succumbed to Leukemia. Etta James was born Jamesetta Hawkins on January 25, 1938, in Los Angeles to fourteen year old Dorothy Hawkins. She was brought -up by foster parents, Mama Lu, and Sarge who forced her to sing for his friends. She received her first professional vocal training at the age of five from James Earle Hines, musical director of the St. Paul Baptist Church Echoes of Eden choir, in south central Los Angeles. When Mama Lu died in 1950, Dorothy took her to the Fillmore District, San Francisco where she was exposed to doo-wop and was inspired to form a girl group, called the Creolettes. In 1952, she met musician Johnny Otis who helped the band sign to Modern Records and changing their name to the Peaches and gave the singer her stage name reversing Jamesetta into "Etta James". In 1960, she decided to sign with Leonard Chess' label, Chess Records, and shortly afterwards got involved in a relationship with singer Harvey Fuqua, founder of the doo-wop group, The Moonglows. Dueting with Harvey Fuqua, she recorded her first hit singles, If I Can't Have You, and, Spoonful. Her first solo hit in doo-wop style, All I Could Do Was Cry, became an R&B hit. She recorded the hit ballad, My Dearest Darling, in 1960, to the accompaniment of string instruments, and sang background vocals on label mate Chuck Berry's, Back in the U.S.A. In early 1961, she released her signature song, At Last! 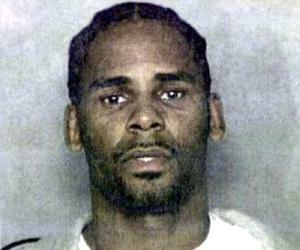 , which reached number two on the R&B chart and followed that up with, Trust in Me, to string instruments. In 1961, she released a second studio album, The Second Time Around, covering many genres, and using strings on many of the songs generating two hit singles, Fool That I Am, and , Don't Cry Baby. In 1962, she began using gospel elements and, Something's Got a Hold on Me, got to No.4 on the R&B chart while, Stop the Wedding, reached No.6 on the R&B charts. Etta James Rocks the House, her first and finest live album was released in 1964. It was an attempt to catch the singer in a raw and fiery performance outside the recording studio. After a bad patch, she returned with the single and album, Tell Mama, in 1967. The album included her version of Otis Redding's Security, and I'd Rather Go Blind, regarded a blues classic. 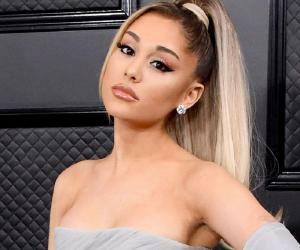 She continued to make the Top 40 R&B charts with singles such as "Losers Weepers and "I Found a Love, but was devastated by the death of Chess founder Leonard Chess. Her self-titled album in 1973 was notable for its rock and funk styles, produced by the renowned rock producer Gabriel Mekler and nominated for a Grammy but did not do well commercially. After a ten year battle with drug addiction and alcoholism, she released two albums in 1989 - Seven Year Itch, and Stickin' to My Guns, produced by Barry Becket and recorded at Fame Studios. 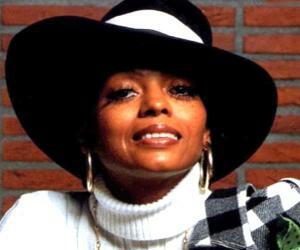 Between 2000 and 2011, she released albums including, Matriarch of the Blues, Blue Gardenia, Let's Roll, and The Dreamer. She made her final television appearance performing "At Last" on Dancing with the Stars. The Wallflower, or Dance with Me, Henry, written by Johnny Otis, Hank Ballard, and Etta James was recorded by her for Modern Records in 1955 and topped the U.S. R&B chart for 4 weeks. James’ 1960 debut album, At Last! is noted for its musical variety of jazz, blues, doo-wop and R&B numbers, included, I Just Want to Make Love to You, and, A Sunday Kind of Love. In 1993, she recorded the tribute album, Mystery Lady: Songs of Billie Holiday, and began to incorporate more jazz elements and won for her a first Grammy Award for best jazz vocal performance. 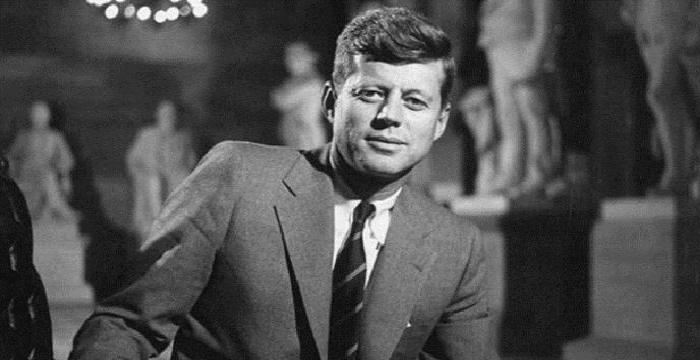 James received awards and recognitions from eight different organizations, including the Rock and Roll Hall of Fame and Museum. In 2003, she was honored with a Walk of Fame star at 7080 Hollywood Blvd. She was awarded Grammy for Best Jazz Vocal Performance for the album Mystery Lady, and two more for, Let's Roll, and, Blues to the Bone, for Best Contemporary and Traditional Blues Albums categories respectively. Two of her songs were given Grammy Hall of Fame Awards for "qualitative or historical significance- At Last, and, Dance with Me, Henry. In 2003, she was given the Grammy Lifetime Achievement Award. She married Artis Mils in 1969 who remained her husband until her death. She had two sons Donto and Sametto, both of whom are performers. She was continuously in and out of rehabilitation centers. Diagnosed with Alzheimer’s disease and with terminal leukemia, she died in California on January 20, 2012. The funeral was presided by Rev. Al Sharpton and she was entombed at Inglewood Park Cemetery in Los Angeles County, California. ’Rage To Survive’, this legendary American musical great’s autobiography takes us on a troubled trip to stardom from her traumatic childhood to her harrowing battle with addiction and illness.